We have great news to share with everyone! On ALL videos at BSharpTricks.com, you can speed up or slow down the videos to help you play along at a speed that you are comfortable with. No special browser is needed! Whether you are on your phone, PC, or tablet just click the gear icon before hitting play and select the speed you want to play with. 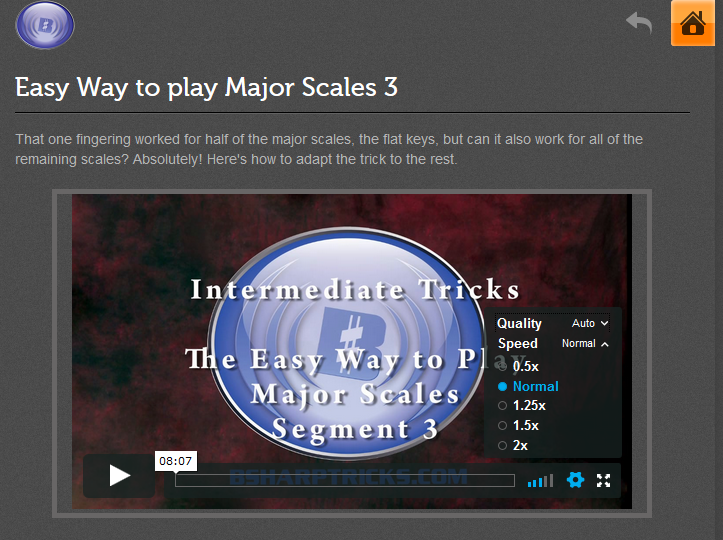 Go to BSharpTricks.com today and try out this new awesome feature, as well as all the great content we have to offer.